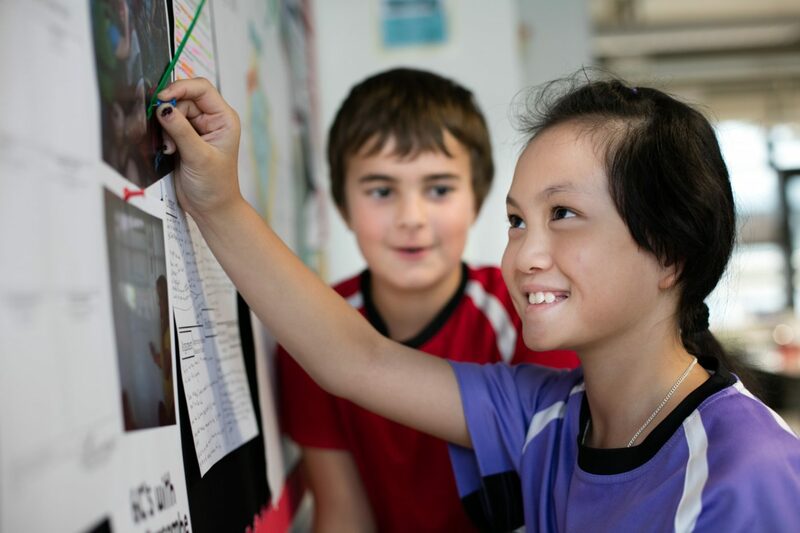 The written curriculum incorporates five essential elements — concepts, knowledge, skills, attitudes and action. take action as a consequence of their learning. 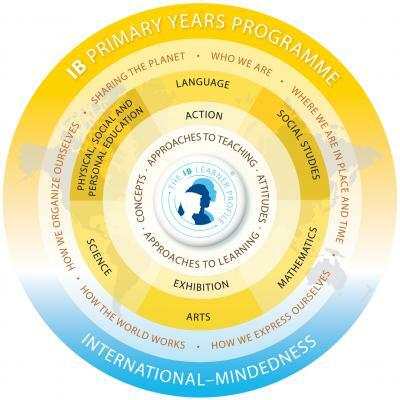 The most significant and distinctive feature of the IB Primary Years Programme is the six transdisciplinary themes. The transdisciplinary framework allows students to learn through and beyond traditional subject areas. Learning about ourselves, our beliefs and values, rights and responsibilities, our friends, families and cultures. Learning about place and time, our personal histories, local and global history and geography, migrations and discoveries of ourselves and others, the contributions of individuals and civilisations. Learning about the ways that we discover and express ourselves: our ideas, feelings, cultures, beliefs and values. Learning about the interaction between the natural world and human societies, how humans use their understanding of scientific principles and the impact of scientific and technology advancements on society and on the environment.